From the 7th of March on there will be a Blogger Base Lounge in the "movie theatre at the Marshall Haus in the middle of the exhibition grounds". And today an "ITB Blogger Speed Dating event will take place [...] from 4.30 to 6 p.m. at the CityCube in Hall B." The organizers even prepared A Blogger’ Speed Dating - Knigge for all the potential participants. ("Knigge" stands for an "etiquette manual" or "handbook of manners", or "Emily Post" :-). As a journalist, it is not acceptable to be pampered by any of these organizations ore brands or institutions. But as a blogger and renowned influencer  it is of interest, to find out, how these new means of communications will be used and exploited. This is why at the end of this page you will find a series of interviews and two panorama-photos taken on this occasion. 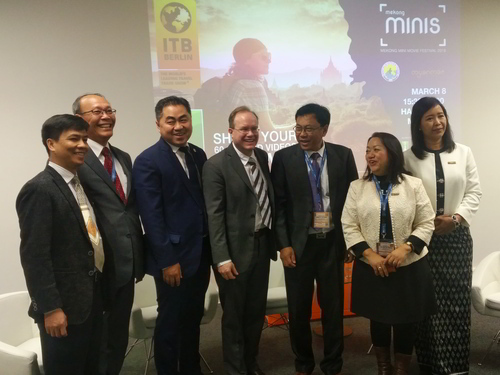 Born out of the need for innovative and cost-effective sales and marketing initiatives to promote the six countries and its tourism destinations of the Greater Mekong Subregion (Cambodia, PR China, Lao PDR, Myanmar, Thailand & Viet Nam), the public-private partnership framework Destination Mekong, strategically aligned with the secretariat of the Tourism Working Group of the governments of the Greater Mekong Subregion, created the globally unique collaborative social commerce platform MekongMoments.com. 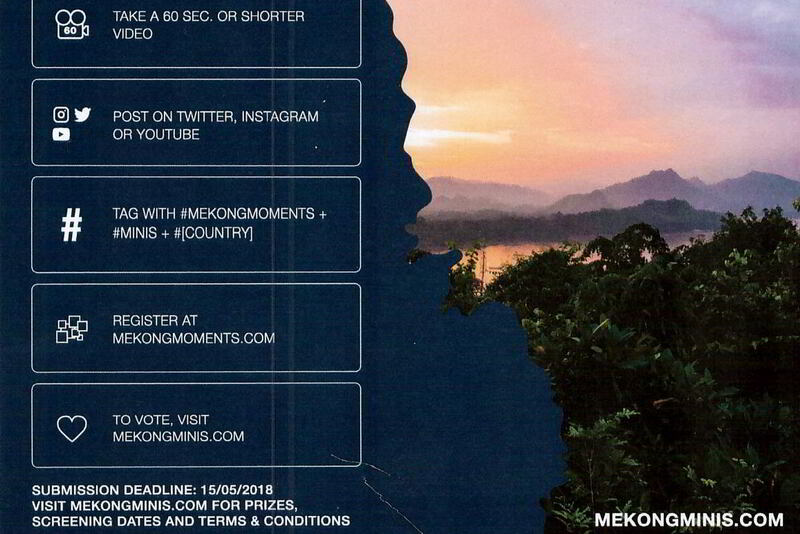 Beta-launched at ITB Asia 2017 in Singapore, the initiative that is founded by six private and six public sector organizations, and developed by UNWTO Affiliate Member Chameleon Strategies, has gained traction with over 6,000 businesses listed and over 30,000 shared visual experiences tagged with #MekongMoments aggregated from social media in just three months. The platform enables any organization regardless of type and size to run their own social media campaign, and get an expandable and customizable digital presence. Learn how collaborative social commerce can transform tourism marketing in the Southeast Asia, by building capacity for businesses of any size and type, driving sales, promoting the destinations, and developing a powerful social CRM, data intelligence, and loyalty engagement platform at the same time. 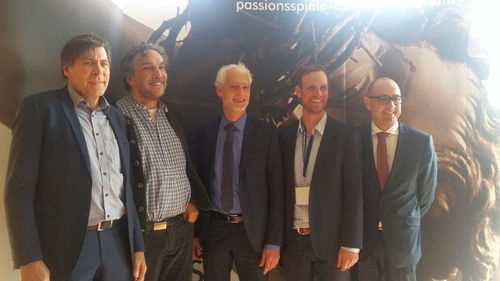 This is a follow-up meeting to the first encounter last year, documented on this platform as well: "ITB: Die Welt am Mekong be-suchen"
At this occasion, a first interview was made with Jens Thraenhart. And as a follow-up reaction to this encounter, the decision was taken to prepare a trip to Thailand, Laos, and Cambodia in November 2017. This tour was not sponsored by any of these organizations but prepared with the excellent support of First Travel Cambodia . Impact Analytics, contract design and the management of touristic influencers in Germany and Europe. Legal security in media and labor law for first movers and imitators in the “influencer marketing” dynamic growth market. Digital nomads travel throughout the world and get their work done on the road. Their goals and activities are determined by new parameters. The tourism industry should react by emphasizing personal experiences and open access. A field report from Poland. This "fireplace chat" will be documented on the ITB-side, for sure. Very professional and quite frank. At not only blowing the horn for Expedia. As part of the ITB Expert Forum Wellness, Sam Foster reports on her network. An excellent presentation. And we had the chance for a little conversation thereafter. There were many points of mutual interest and it was therefore decided to keep this for us and to do no interview. Speed Dating is a series of pre-scheduled meetings between representatives from the travel industry (destinations, attractions, hotels, public relations agencies, etc.) and accredited travel blogger. The meetings are of short duration (8 minutes) encouraging both parties to focus on their objectives and to establish business relations. up to now a product testing was accepted only on very few occasions: with Fujitsu "Repacking LIFEBOOK U937" and with ZERO "Abschied von der ZERO Moto"
 Not announced in the list of the press-briefings is the invitation to join the Berlin Travel Festival at 9:30 am this morning (t.b.c.). ... who did not show up this year to say "Thank you" to Khun Tui Pakarat-Rutten and her team again. If you do not join the ITB Blogger Speed Dating event, you should register in time for this event at: http://cn.itb-china.com/itb-preview-event-registration/.